We believe children everywhere have a right to education. We believe education will help people overcome the devastating cycle of poverty. We believe education will improve the spiritual, emotional and physical health of our students and their families. While public education is free in Nicaragua, obstacles such as lack of transportation, the cost of mandatory uniforms, and the reality of children helping in the fields to assist with family incomes result in only 29% of children completing primary school. Poorly trained staff, high student-to-teacher ratios (as many as 60 pupils for every teacher), dire shortages of books, desks and other basic school supplies, and half-day classes all combine for an abysmal public education system..
Based on Christian principles, Chacocente Christian School is committed to offering tuition-free, quality education to the children of Project Chacocente and the surrounding neighborhood. Presently, there are seventeen children from Project Chacocente and one hundred and thirty-five from the surrounding neighborhood enrolled. Offering a full day program (8 A.M. – 3 P.M.) for pre-school through grade 11, the final year of a high school education in Nicaragua, we also supply a nutritious lunch, the only meal of the day for most students. When needed, we provide free psychological counseling for students and their families. Recognizing that English fluency will increase their future employment prospects, students begin Englishlessons in the second grade. Additional classes offered at Chacocente Christian School but not the public schools are Christian education, animal husbandry, traditional dance, art and physical education. Our students routinely achieve high rankings in both academic and athletic competitions at the municipal (county) and departmental (state) levels. 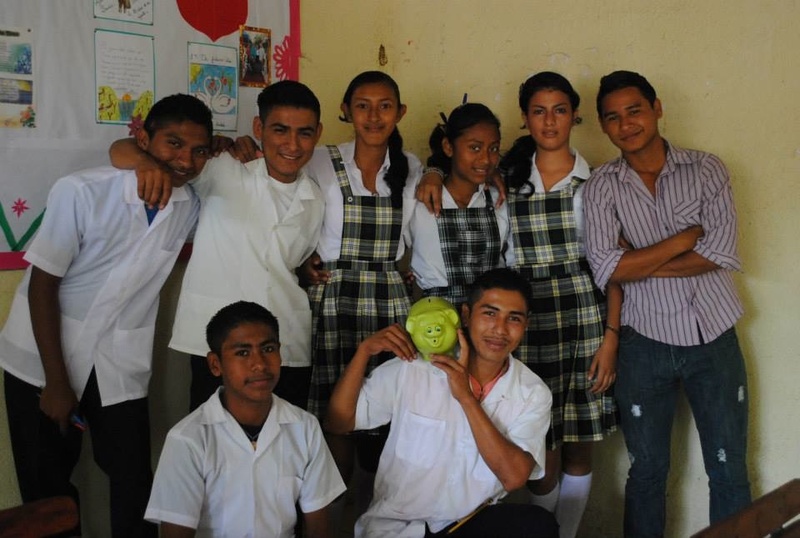 We are very excited that November 2014 marks the first seven high school graduates of Chacocente Christian School! From 2015 to 2018 we expect to graduate fifty-five more young men and women! Whatever their futures may bring, we believe the education they have received will help them to be better parents, citizens and Christians. What a blessing to see God at work in so many young lives!